Snickers has hit a patch of bad luck. 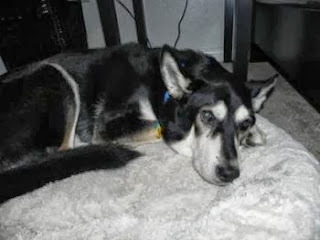 Despite being a loving, loyal guy all of his 13 years, he's being put out because his owner feels they can no longer care for him and their soon to be arriving child. If there's a place in your home and heart for this old soul, he sure would appreciate the hand. Contact Andrea at 1-816-797-8290 for more information.